Luxury Contemporary home on West Shore Luxury home on Lake Maxinkuckee's west shore. Four bedrooms, 3.5 baths. 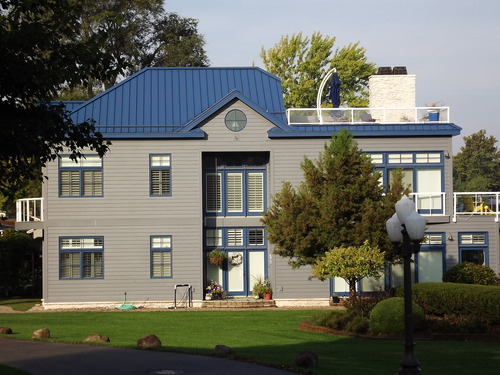 Beautifully decorated, gourmet kitchen, decks overlooking the lake, hot tub on the roof top deck! One of just a few true luxury homes available.